I did promise that I would have a post on the balloon candle wax luminaries up so I've managed to compile my five or so weeks of experimenting into this post - not because the projects physically took that long, but because I was oooohh-ing and aahhh-ing between which way to go and wanting to try all of the different ideas you see below. For more inspiration and tips for making wax balloon luminaries keep reading after the jump. I decided that all this DIY-ing and dessert buffet baking will probably take to much time even if I get around to pacing and organising myself, so I thought I'd keep it simple with fairy/twinkle lights strung around the ceiling. But if anyone knows how to do this securely and cheaply I'd love to hear from you - I've tried google-ing but to no avail. Regardless, I have added a few links and pics of interesting ways to snazzy up your plain fairy/ twinkle lights. One of the few things I haven't added is round paper lanterns that you can buy - I had a look into it and boy is it expensive...~$1 - 2 each for 10 inch lanterns! Would love to know how to do this - I presume gluing twine to an inflated balloon and then adding some lights in? 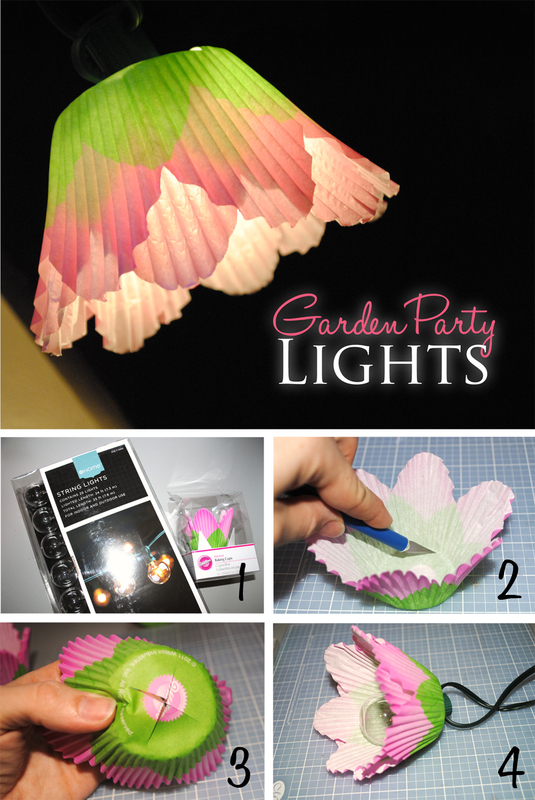 artichoke lanterns - perhaps this would work with tissue paper, craft glue and an inflated balloon? but if not rounded petals stuck onto a round lantern might do it. Given that I've just shown you the brief version, you can only imagine how much of a visual, crafty, inspirational overload pinterest was!!! So i finally managed to narrow down the options I had and then finally settled on the wax luminaries because they were fun, simple and so so easy. And half the point of DIY-ing besides saving moolah is the fun. Basically I also diverged from the LED candle idea because the ones I bought at a local shop were too orange/ yellow in flame colour and the cost added up. So I decided to use LED throwies instead (I'll explain the science later before this turns into an essay but these are so cheap and easy to make). These are what I tried. You also can't make out the colour of the tissue paper because of the yellowish LED light, but the tin can does actually show a leaf reflection through the holes. OK now down to business, half of you probably scrolled through a whole bunch of pictures to get to this part about how to make wax balloon luminaries, so I have some tips for you. I spent $3 on the glass bowl you see - which was a handy investment even though it was useless in the actual balloon dipping process. I used my glass bowl over boiling water as a double boiler to melt my wax before transferring it to a coffee/milk can. Yes, I did heat this can on the stove directly. No I am not crazy. I was so scared it'd explode but I saw someone else do it with a coffee can on a portable gas stove in the blogsphere so assumed it was safe enough to give a go, (yes i'd probably follow someone jumping off a cliff too) but I was getting pretty desperate. I only used the flame on the can to warm up the wax so it wouldn't solidify. You just need liquefied wax to dip in, not bubbling boiling stuff. #3 If you don't know where to find beeswax or blocks of it, buy some candles in some pretty colours and smash them. I bought some red candles with rose scent - it's kind of awesome actually, they still smell nice. I also added some white candles I had been given as a birthday present - a good way to recycle old half used candles. #4 When breaking up your wax don't use a knife - it takes too long and you'll ruin your knife. Grab a flathead screwdriver or a chisel and a hammer - go to town on you wax/candle - breaking into small bits to make it easier to melt faster. #5 Use tepid water to fill your balloons - basically you shouldn't be able to tell if your finger is in the water or not - meaning it is the same as your body temp. #7 Balloon shape matters. It's the mould - I skimped on this so my luminaries are all sizes but I don't mind. #8 When you dip you balloon in the warm wax DO NOT go above the water line. Therefore, fill the balloon as much as you want and squeeze out as much air as you can before tying a knot. #9 Dip you balloon in the wax fast, otherwise you see a drip line. Hold it for a few (2ish) seconds, pull out of wax fast and let the excess wax drip down. Dip again and repeat until smooth and desired thickness (~10ish times). #10 Spread some baking paper onto you table tops and place balloon after last dip quickly onto it to flatten the base. Be careful when you push down that you don't split the top of the luminary as when you flatten the base of the balloon you are essentially making it fatter = prone to bursting. Once it's on the paper and flatten a bit, you can use both hands to cup the balloon as you flatten it further onto the paper. #11 If you screw it up - start breaking the wax off the balloon whilst it's warm otherwise if you wait until it's cold it will take you ages to get all the little pieces of wax off a static balloon. #12 Grab a baking tray and a few layers of baking paper. Place it on top of the pot of boiling water you've been using as a double boiler to flatten and smooth the top edge of luminaries. Basically invert the thing and twist it in your fingers till nice and smooth. #13 Chances are you'll have a bunch of left over wax in your container - best to pour it into a ceramic bowl you never want to eat out of again and poke some holes in in whilst its still soft, so you can break it apart easier once it has set. Okay so one final note, I decide to ditch the idea of LED candles as it didn't really matter what lite up my luminaries as long as they had a nice glow, so side by side you can see the difference an LED throwie made in comparison to the flickering LED candles. But the products I tried were not from the two shops I recommended as I had moved on to a new idea before the need to order in bulk arose, the reviews however for them are both good. personally I prefer the colour of the luminary when lite up by the LED throwie v the candle, the middle candle gave off a greenish tinge, but the end candle with its orange flame complemented the red nicely. I will post the deets on LED throwie making soon. But in the mean time check out both candletech's original tutorial on making the luminaries and this blog with nice pics on the process.